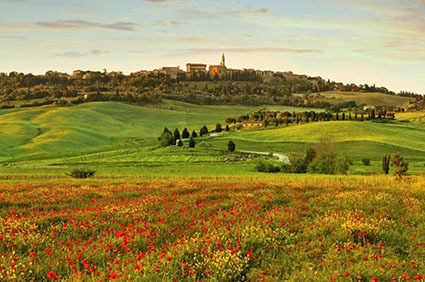 Join Amy Hanten in beautiful Tuscany as we enjoy the food, wine and lush landscapes of Tuscany! 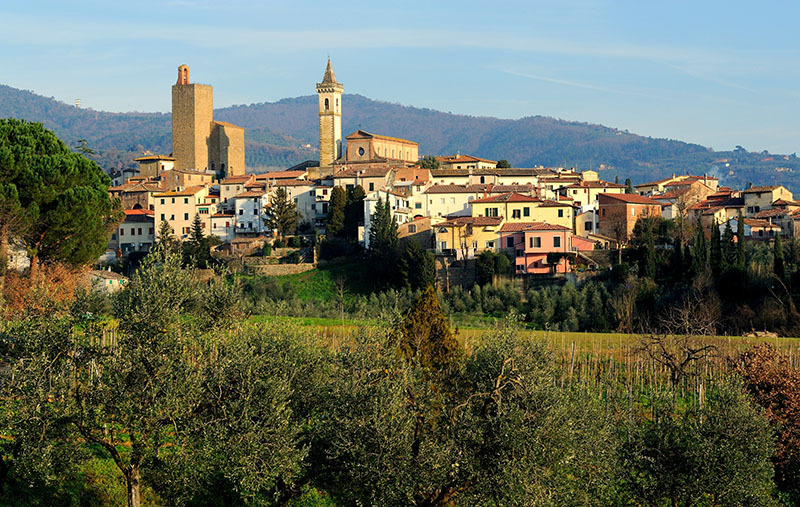 The town of Montecatini serves as your home base from which to venture out daily to explore the surrounding area of breathtaking Tuscany. You’ll indulge in picturesque scenery, world-class local wines, traditional cuisine, and cultural discoveries via eight days of regional excursions. 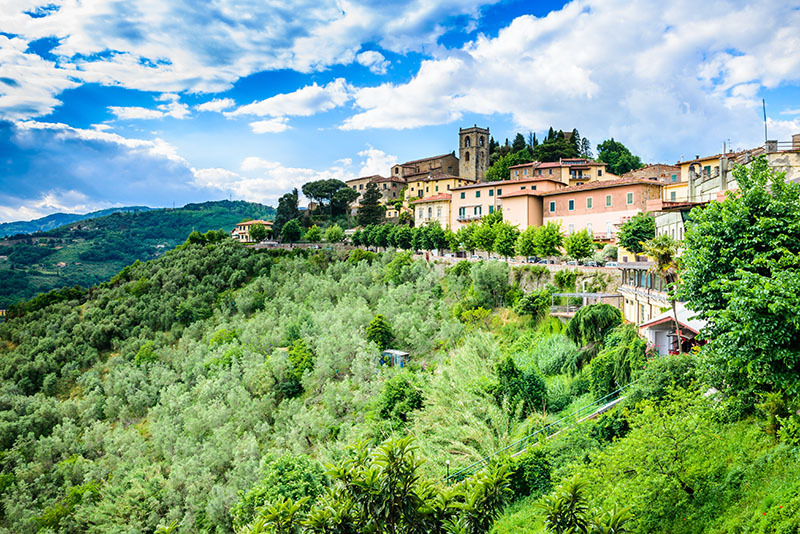 Traveling through some of the most stunning natural landscapes in Italy, you’ll embark each day to visit idyllic spots, including the gorgeous Chianti Valley and the Etruscan Coast. As you visit quaint wine shops, cafes, a traditional butcher shop, historic estates, and museums, you’ll feel immersed in the history and traditions of each daily destination. 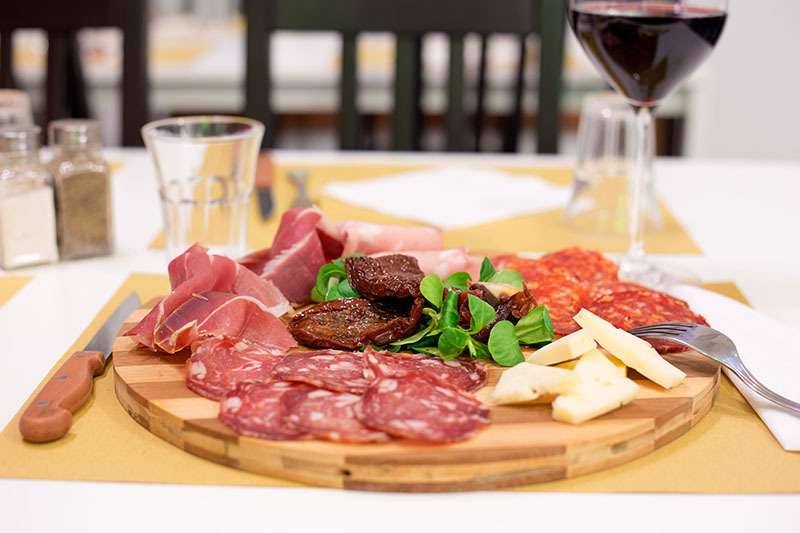 In addition to sampling the local gourmet Tuscan fare, you’ll also be treated to an Italian cooking lesson, starting with the selection of fresh ingredients at a local market. 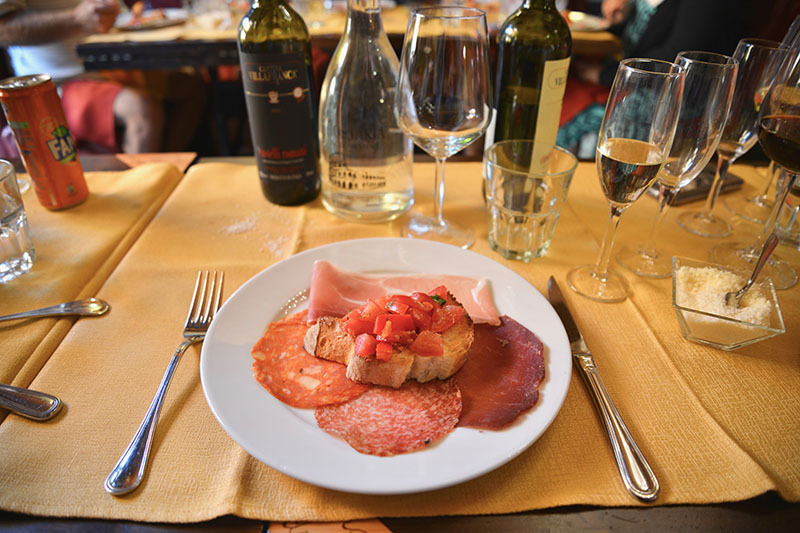 You’ll prepare an authentic Italian dish inside a rustic Tuscan farmhouse where you and your travel companions will enjoy your culinary creations – complete with master-chef prizes. You’ll also sample artisan-crafted chocolates and learn the art of Italian dessert-making at your hotel. 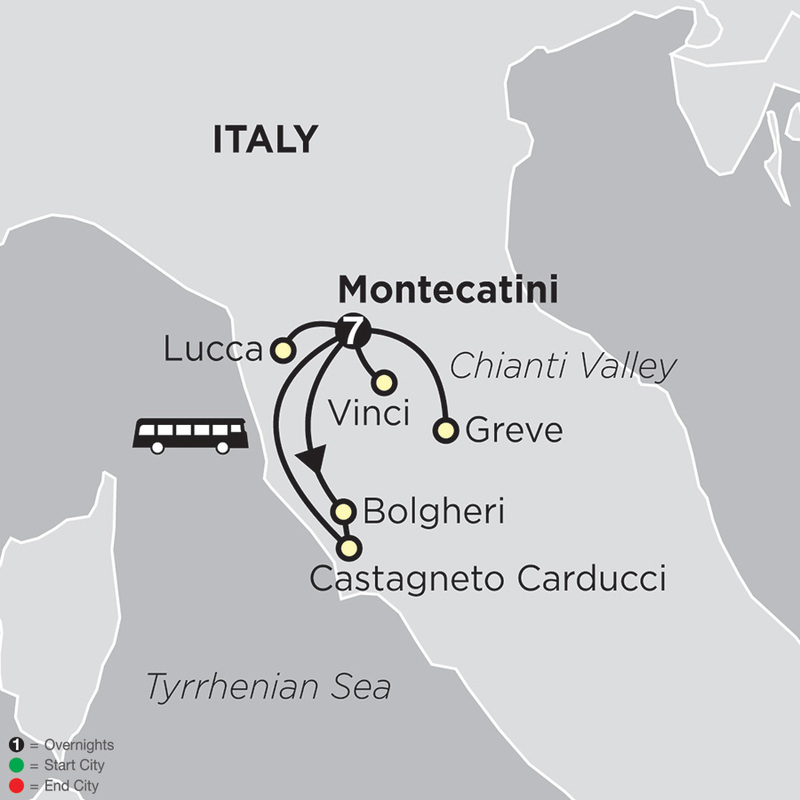 You’ll revel in the beauty of becoming familiar with a single destination of Montecatini while making priceless daily discoveries of locales that are off the beaten path! Your journey begins aboard a motorcoach transfer from select pick up points to Chicago O’Hare, where you will board your flight to Florence, Italy. Or use your own air and meet us in Italy. 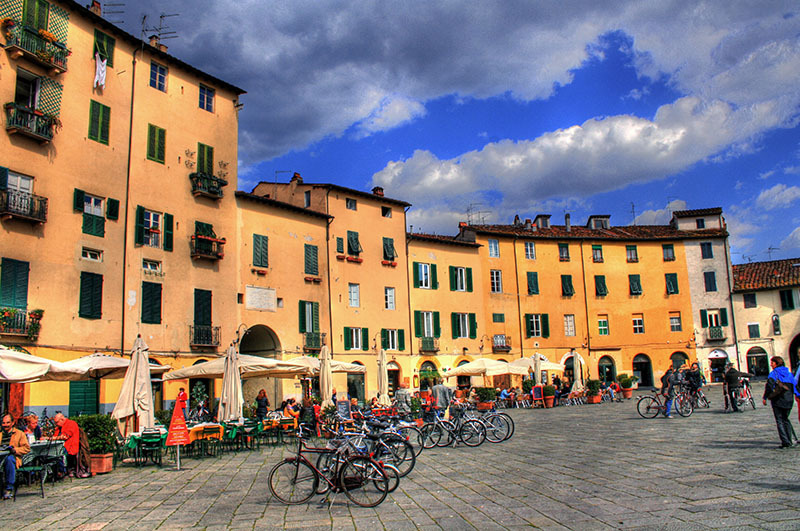 Arrive in Florence, Italy where you will be transferred to your hotel in Montecatini. Check into your hotel. Tonight, meet your Tour Director and fellow travelers. 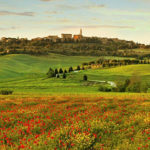 This morning, head out into the lush, rolling landscape of the Montalbano hills, where you will see many Italian cuisine ingredients growing in their native environment. Pass terraced grape vineyards, olive groves, and chestnut trees on your way to the quaint village of Vinci, birthplace of Leonardo da Vinci. Here, you will learn all about the Renaissance master at the museum dedicated to his life and many areas of interest, which included everything from painting, sculpting, and inventing to anatomy, music, and cartography! 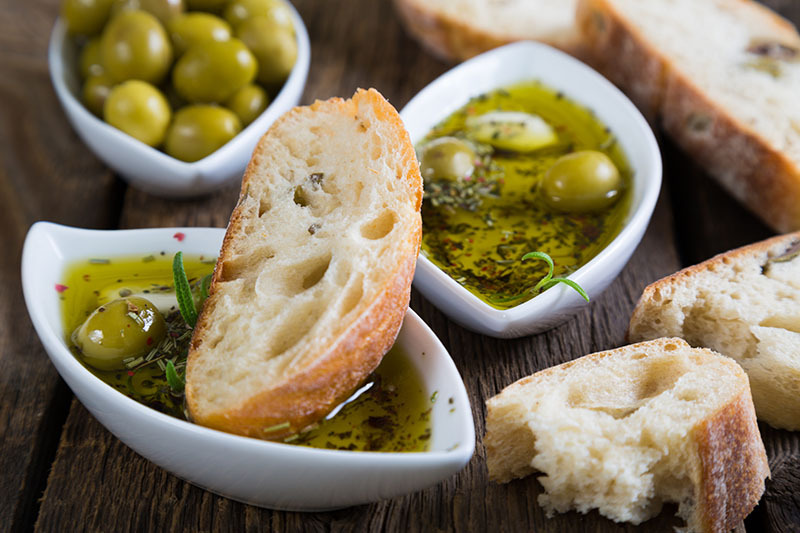 Later, visit a bakery in the Chianti Montalbano area to learn the secrets of Italian bread making, followed by a light lunch of fresh bread, local cheese, cold cuts, and a glass of the local wine. 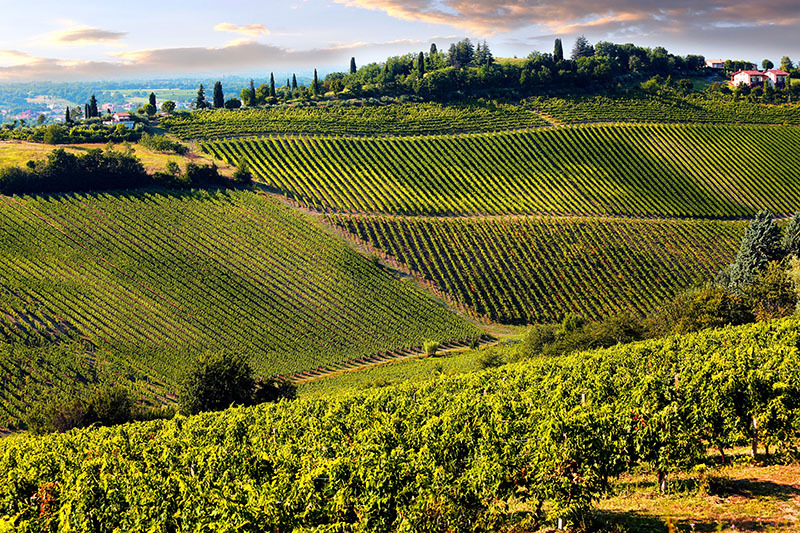 Cradled between the provinces of Florence and Siena, the Chianti Valley is the heart of Old Tuscany, and has been hailed for its exceptional wines since the 13th century. Your journey today takes you to Greve to visit a Macelleria, a traditional Italian butcher shop, where you’ll learn about Bistecca alla Fiorentina (Florentine steak) and tasty Finocchiona (fennel salami). Then, enjoy lunch at a charming wine shop, and visit a historic Tuscan estate known for its Chianti and Supertuscan wine production. Your day begins at a local market in Montecatini, where an expert guide will help you select fresh ingredients for an Italian cooking lesson at a rustic farmhouse in the Tuscan countryside. Once you arrive at the farm, enjoy a welcome drink, explore the orchard, learn about Italy’s most famous delicacies, and then roll up your sleeves for a fun, hands-on cooking experience. This evening, relax with your traveling companions and savor the delectable dinner you prepared—maybe your team will win the master chef prize! 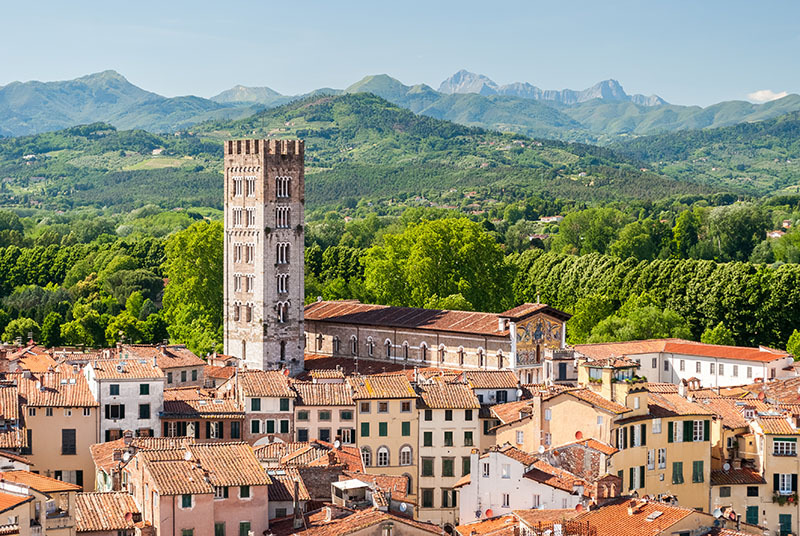 Today features a visit to Lucca, a stunning showcase of medieval architecture and layer upon layer of rich history and culture. Marvel at the beautiful art and tapestry collections at the baroque Palazzo Mansi National Museum, then take a guided walking tour around the Old Town with its fine, intact Renaissance-era wall, cobblestone streets, and café-lined piazzas. A lively cafe-crawl snack brunch is included, followed by a main course at a local restaurant. 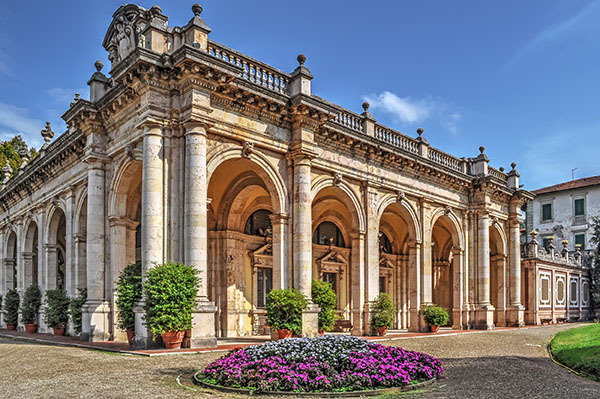 Then, your Local Guide introduces you to the stunning ornamental gardens and grand arched ceilings of Palazzo Pfanner. Travel through the vineyard-dotted countryside and along cypress-lined Viale dei Cipressi for your fascinating entrance into enchanting Bolgheri. With its red-brick castle and atmospheric Old Town, it’s not hard to believe Bolgheri jumped right off the pages of a storybook. 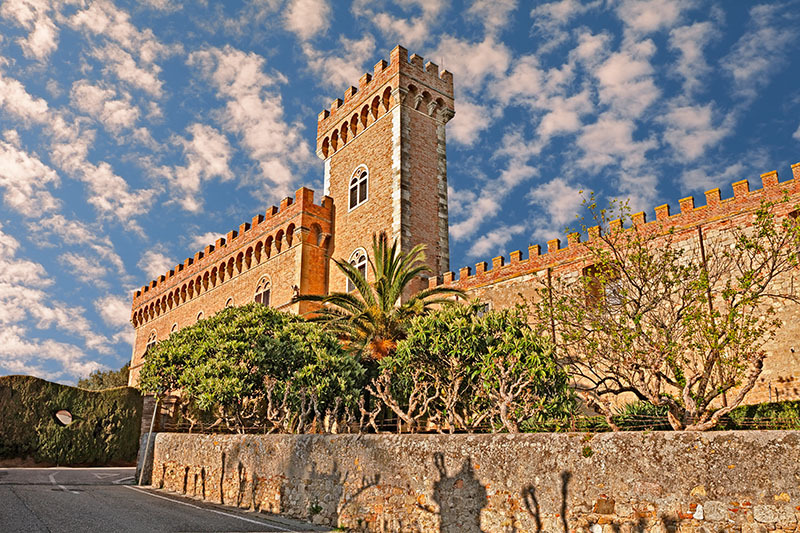 There’s time here to visit one of the wine cellars that produce Bolgheri’s celebrated reds. First created in the 1980s, many wine experts believe these now rival French Bordeaux. Later, stop at nearby Castagneto Carducci, known for its splendid panoramic views of the Etruscan Coast. Enjoy lunch at a local restaurant and the chance to sample the local liquor. Your final morning in Montecatini is yours to do as you please. 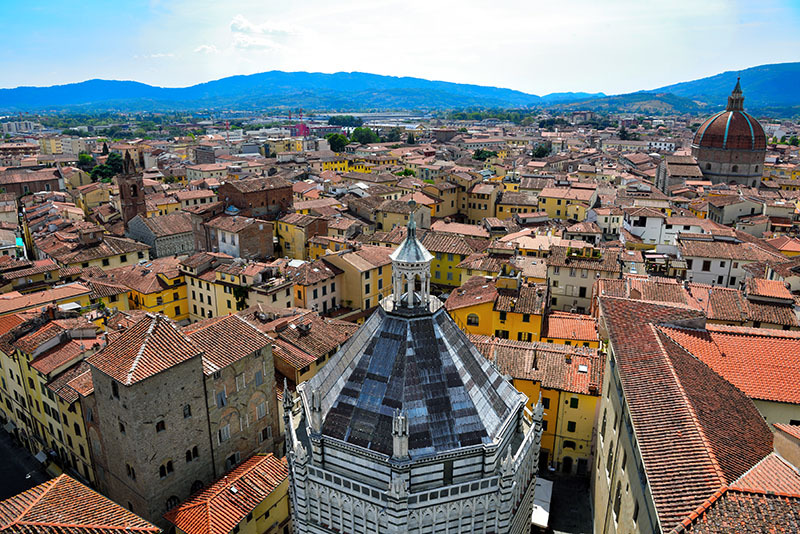 You could choose to explore more of the city on your own, to relax and shop for souvenirs, or to join the exciting optional excursion to the well-preserved medieval city of Pistoia, renowned for its quaint Old Town, beautiful sculpture garden, and outstanding artisan-crafted chocolate! This afternoon is dedicated to a cooking class at your hotel, focusing on the creation of cakes and desserts. Unfortunately, our Italian adventure ends today. 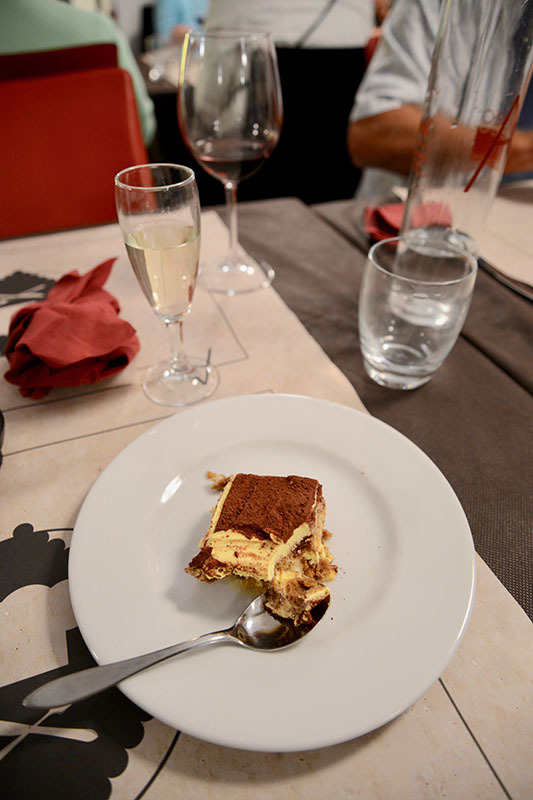 Enjoy breakfast before transferring to the Florence Airport for your flight home. Upon arrival in Chicago, your motocoach will drop you at your original pick up location. Excursion to Vinci, birthplace of Leonardo da Vinci with museum visit; Chianti Montalbano are and Italian bread making; Chianti Valley; Cooking experience in Montecatini; Excursion to Lucca with Café-Craw; Excursion to Bolgheri with wine tasting; and so much more! 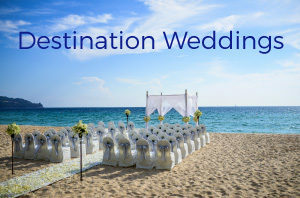 Not included: Gratuities for the coach driver, tour director or guides; meals, other than those specifically mentioned; beverages, other than included dinners; airline baggage fees; items of a personal nature such as internet/phone, laundry, passport fees, optional trip insurance, anything not specifically listed as included in the package price. Amy Hanten is The Cooking Mom. 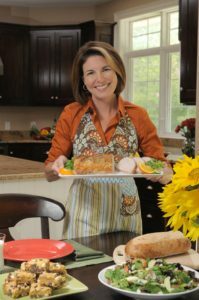 She’s a cookbook author, television show host, and a food blogger with a popular website www.thecookingmom.com. She hosts a daily cooking show, “Living with Amy” on Fox 11 in Green Bay. Amy also cooks up her delicious family friendly recipes regularly on many other TV stations like Fox 6 Wakeup in Milwaukee. 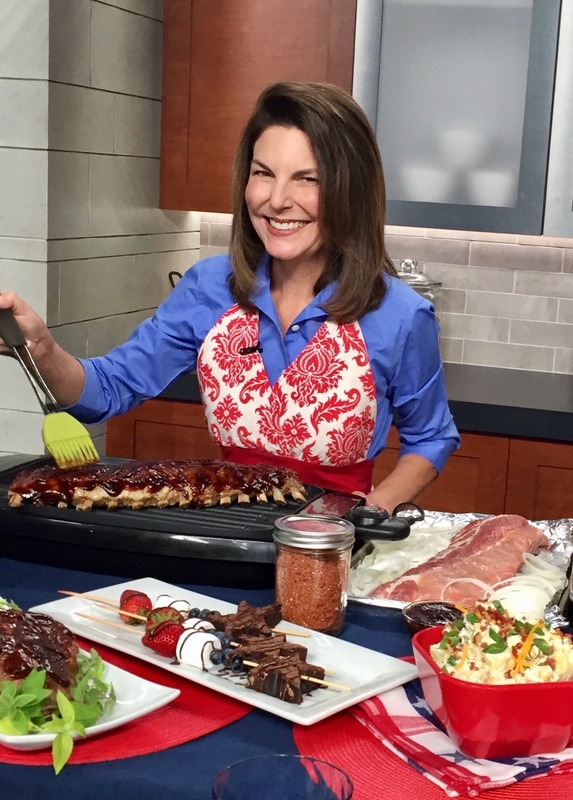 She also shares tips and recipes on radio stations like Wisconsin Public Radio and 620 WTMJ. When she’s not cooking Amy loves to travel! She’s loves adventures and is excited to travel, learn and eat her way around the world! *Above pricing is per person based on double occupancy in your choice of cabin category and subject to availability. 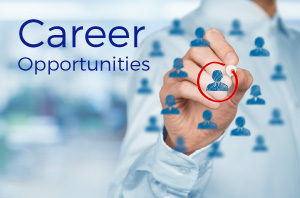 All taxes and fees of $465.00 per person are INCLUDED and subject to change. Fox World Travel has no control over flight changes, delays or cancellations. Single pricing available upon request. 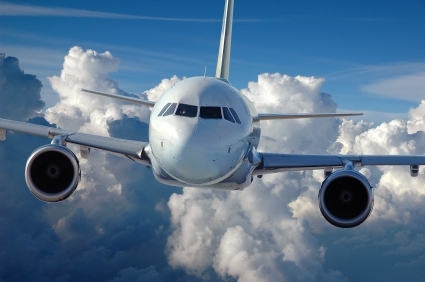 The flights included in the air-inclusive package have not yet been announced, the identity of the carrier, which may include the carrier’s code-share partner, will be assigned and disclosed at a later date. Note: Daily Itinerary is subject to change. Order of sightseeing may change throughout the itinerary. Substitute visits to other sites may occur during your trip due to uncontrollable factors.